Reactive oxygen species (ROS) are molecules that can be categorized into two groups: free radicals which contain one or more unpaired electron(s) such as superoxide (O2-), hydroxyl radical (OH●), and nitric oxide (NO●); and non-radical ROS which do not contain unpaired electrons such as hydrogen peroxide (H2O2) or singlet oxygen (O2). ROS are short-lived reactive molecules and free radicals derived from molecular oxygen that contain oxygen atoms. They are produced as byproducts during the mitochondrial electron transport of aerobic respiration or by oxidoreductase enzymes and metal catalyzed oxidation. It was originally thought that only phagocytic cells were responsible for ROS production as their part in host cell defense mechanisms. Recent work has demonstrated that ROS have a role in cell signaling, including apoptosis, gene expression, and the activation of cell signaling cascades. At least one ROS molecule (NO) acts as a signaling molecule, migrating across proximal cell membranes to activate guanylyl cyclase and cause smooth muscle relaxation. The term free radical often used in biology refers to a variety of highly reactive molecules that include reactive ROS. The production of oxygen based radicals is problematic for all aerobic species. At higher concentrations, ROS cause oxidative stress and are destructive to lipids, DNA and proteins. A range of diseases manifest themselves through altered ROS production, including sepsis, cataract formation, cancer, cardiovascular disease, asthma, ischemia, rheumatoid arthritis, diabetes mellitus, and neurodegenerative diseases such as Parkinson’s disease and Alzheimer’s disease. Finally, exposure to certain environmental toxins, such as heavy metals, polycyclic aromatic hydrocarbons and pesticides, as well as exposure to chemotherapeutic drugs or radiation can alter ROS profiles. General aging effects are also thought to be the result of ROS. There are many control mechanisms in play to limit the damage ROS would otherwise cause, including enzymes and vitamins. High activity, very short life span and extremely low concentration make ROS measurement a challenging subject for researchers. Information-rich methods are required to quantify the relative levels of various reactive species in living cells and tissues, due to the seminal role they play in physiology and pathophysiology. The generation of ROS is tightly controlled both spatially and temporally within the cell, making the study of ROS dynamics particularly difficult. In order to measure these dynamics, precise tools that can specifically examine the relevant ROS are required. Recent advancements in methodologies for ROS measurement have allowed the study of ROS biology at a level of precision previously unachievable. Early, rapid and easy identification of compounds that cause increases in ROS would be a valuable component to a drug discovery and development program. Enzo Life Sciences has developed a robust method to distinguish superoxide, nitric oxide and peroxynitrite using wide-field fluorescence microscopy, by selecting specific fluorescent probes, in combination with a battery of specific inhibitors and activators of ROS/RNS pathways. Through the combination of two specific fluorescent probes, our kit provides a simple and specific assay for the real-time measurement of global levels of ROS and Superoxide Detection in live cells using fluorescence microscopy and/or flow cytometry. The non-fluorescent, cell-permeable ROS detection dye (green probe) reacts directly with a wide range of reactive species, yielding a green fluorescent product indicative of cellular production of different ROS. The superoxide detection dye (orange probe) is a cell-permeable probe that reacts specifically with superoxide (O2‾), generating an orange fluorescent product. 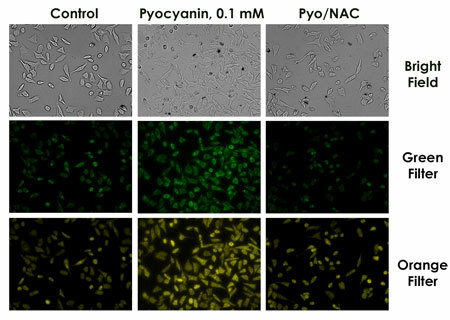 Figure 1: Profiling of reactive oxygen species formation by fluorescence microscopy was achieved in HeLa cells loaded with ROS/Superoxide detection reagents and treated with pyocyanin. General oxidative stress levels were monitored in the green channel, while superoxide production was detected in the orange channel. Pretreatment with NAC, a general ROS inhibitor, prevents formation of ROS. Superoxide Detection Reagent (Orange), is a cell-permeable probe that reacts specifically with superoxide, generating an orange fluorescent product. This is a simple and specific assay for the real-time measurement of superoxide levels in living cells. Upon staining, the fluorescent product generated can be visualized using a wide-field fluorescence microscope equipped with standard orange (e.g., 550/620 nm) or by flow cytometer equipped with a blue (488 nm) laser. 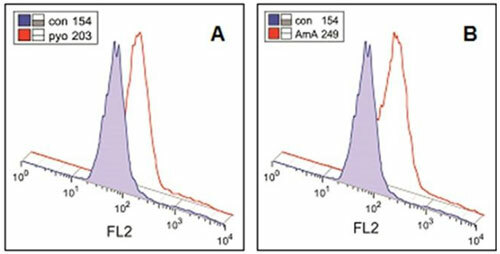 Figure 2: Jurkat cells were induced with 100 µM pyocyanin (general ROS inducer, panel A), or 200 µM antimycin A (superoxide inducer, panel B), stained with ROS-ID® Superoxide Detection Reagent (Orange) and analyzed using flow cytometry. Untreated cells (tinted profile) were used as a control. Cell debris were ungated. The numbers within the inserts reflect the mean orange fluorescence of the cells treated and the control samples. This kit is designed to directly monitor real time NO production in live cells by fluorescence microscopy using ROS-ID® NO Detection Reagent (red fluorescent) as the major component. 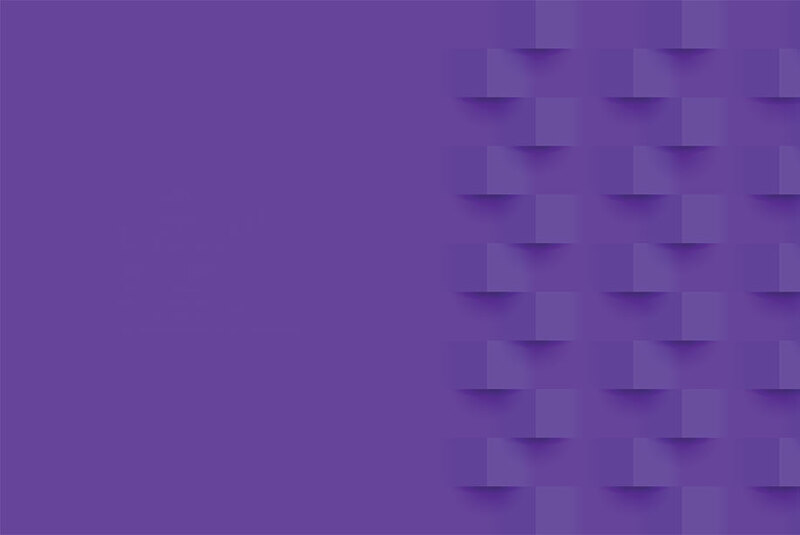 The non-fluorescent, cell-permeable ROS-ID® NO detection dye reacts with NO in the presence of O2 with high specificity, sensitivity and accuracy, yielding a water-insoluble red fluorescent product. Importantly, this dye is not reactive towards peroxynitrite which allows one to distinguish between peroxynitrite and nitric oxide. Upon staining, the fluorescent products generated by this dye can be visualized using a wide-field fluorescence microscope equipped with any red fluorescent cube. Enzo offers a range of high-sensitivity ELISA and detections kits. They include assays to detect the effects of free radicals such as DNA damage, Hydrogen peroxide, Protein carbonyl, and release of cytochrome C. Enzo’s SCREEN-WELL® REDOX Compound library contains 84 reference compounds of known prooxidant or antioxidant activity. The library is a useful tool for studying the roles of pro- and antioxidant molecules in cells as well as for use in in vitro applications. At Enzo Life Sciences, we offer comprehensive tools for quantifying cellular responses to ROS and oxidative stress damage to advance our understanding. The outcome of such investigations, would lead to developing therapies to treat redox-related diseases. Please check out our CELLESTIAL® Live Cell Analysis portfolio to learn more about specific technologies we offer. For further assistance or information regarding the products, please feel free to contact our Technical Support Team.